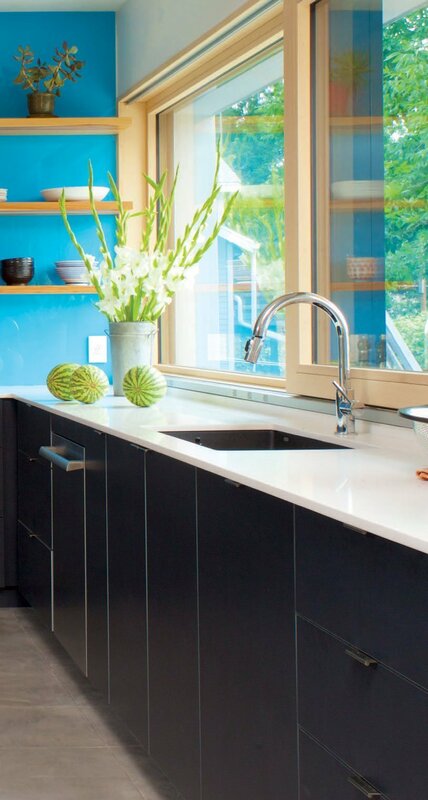 This Boulder kitchen has glorious flatiron views, and it's energy efficient, too. The term “passive home” can seem like such a misnomer. Take, for example, this house in Boulder. It may be passive (meaning it is ultra-low-energy), but it is also very active, harnessing the sun’s heat for warmth in the winter and using its own shadiness to keep things cool in the summer. 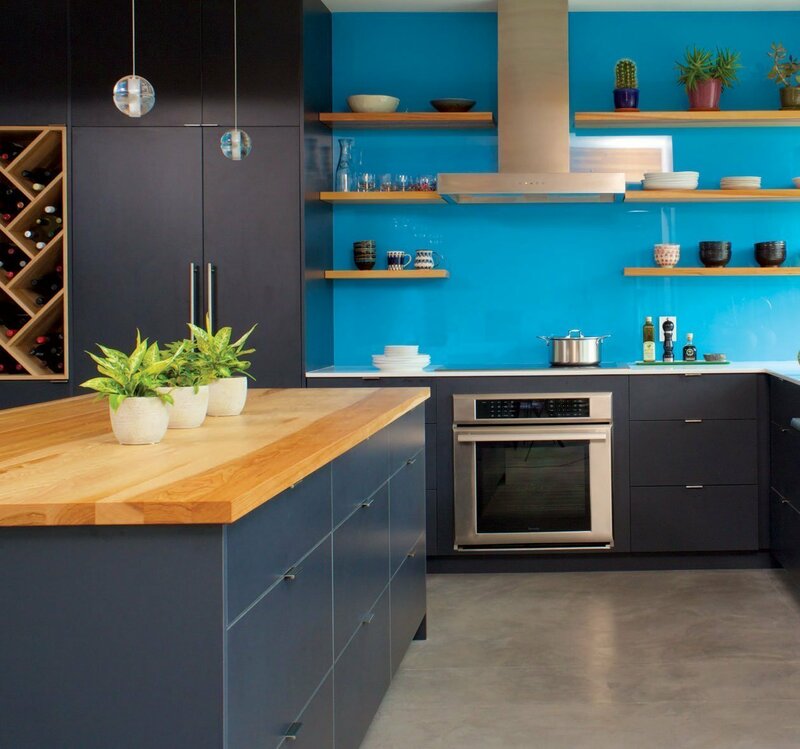 The eight-foot-plus island has nine huge pullout drawers that are large enough to hold the couple’s kitchen gear; they allowed the couple to avoid heavy overhead wall cabinets. 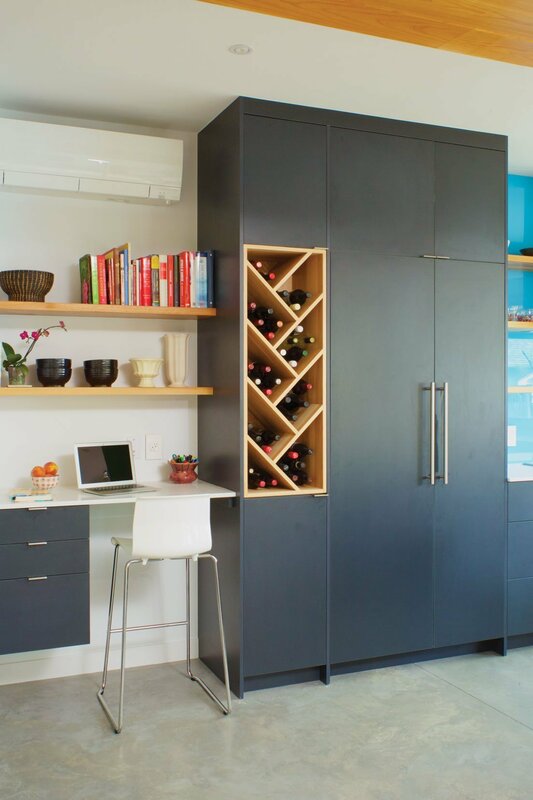 Instead, they opted for floating hickory shelves that create visual impact against the blue wall, with a small but usable desk area on the same wall as well as a custom wine rack, designed and built by a local artisan.